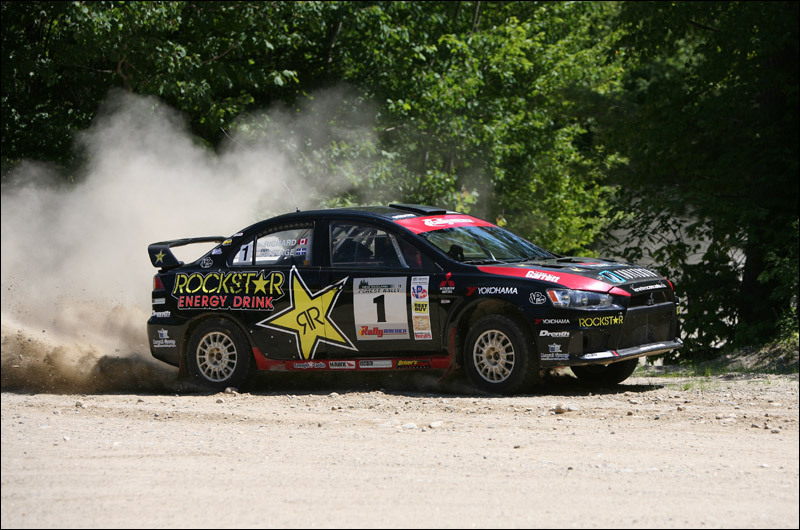 The 2012 New England Forest Rally is this weekend, and our friends at Last Ditch Racing return to Rally America to compete in their home event. 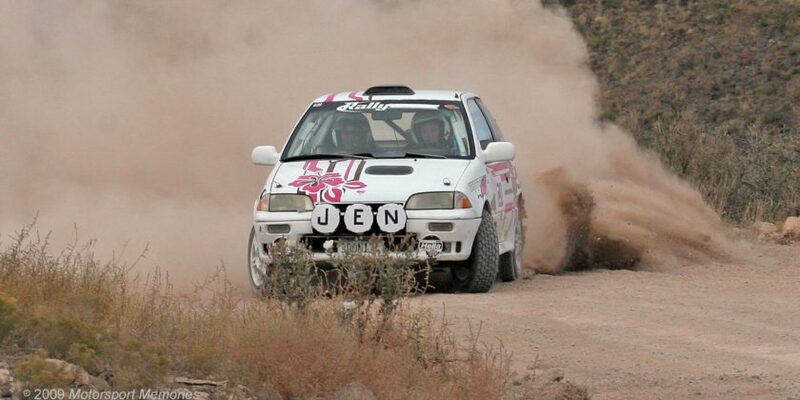 Driver John Cassidy and co-driver Jennifer Daly will be taking his 2003 Subaru WRX-STi to the difficult Maine roads in their one Rally America appearance of the season. We here at OpenPaddock are excited for the up-coming event as well, especially Matthew Johnson’s live commentary from the stages. Although David Higgins pretty much has the championship stitched up and in his hip pocket with 78 points, the battle for P2 is tight with Antoine L’Estage and Leonid “Crazy Leo” Urlichich separated by only a single point, 41 to 40, respectively. Missing the Oregon Trail Rally has set Travis Hanson back in the fight for the Super Production championship, but still only nine points adrift of O’Sullivan. The rough forest stages of the NEFR, however, play best to Hanson’s strengths and experiences, so don’t be surprised to see the championship order flip this weekend. Chris Duplessis and Andrew Comrie-Picard continue to fight it out for the 2WD championship. Although Chris has missed a rally due to his participation in the WRC Academy, ACP has failed to fully capitalize on the opportunity including suffering a catastrophic off at STPR which removed his rear axle! Duplessis leads ACP 66 to 52 going into this weekend’s rally. That’s my very terse preview, but here’s the full Rally America official preview that’s a bit more expansive than I’ve been. Rally America National Championship points on the line as season nears closure. 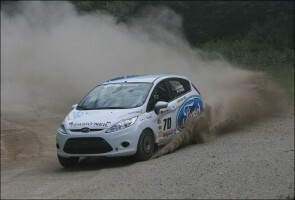 Williston, VT (July 5, 2012) — The fifth round of the Rally America National Championship is scheduled to land at the New England Forest Rally (NEFR) on July 13-14th in Newry, Maine. NEFR is the second to the last in the national circuit and is a favorite event among many rally drivers for it’s technical, flowing gravel roads set among a picturesque mountain landscape. Valuable national points are becoming scarce as the national season winds down to the end in September. Many teams will need to battle even harder at NEFR to avoid losing their Championship dreams. Subaru Rally Team USA’s David Higgins and Craig Drew, both from the U.K., currently lead the Rally America National Championship with a comfortable 37 point lead over the Canadian based Rockstar Energy Drink Team of Antoine L’Estage and Nathalie Richard. L’Estage and Richard still have a mathematical shot at the Championship and need a win at this event, which they’ve won the previous two years. L’Estage has even more to worry about with fellow Canadian, Leonid Urlichich, with U.K. co-driver Carl Williamson, in third place overall and just one point behind L’Estage. Urlichich normally competes in the Canadian Rally Championship, but is having a successful debut American season despite never having driven at these events. In the Super Production (SP) Class Lauchlin O’Sullivan from San Francisco, CA and co-driver Scott Putnam from Minneapolis, MN lead last year’s SP Champs Travis Hanson from Woodsville, NH with his father and co-driver Terry Hanson from Williamson, MI by 11 points. Both teams have experienced mechanical difficulties all season. O’Sullivan has battled electrical gremlins despite winning two class events this year. Hanson has had cooling problems, but still made the podium in each event he entered. In the 2WD Class the concluding battle will take place at NEFR between Summit Rally Team’s high powered Nissan Silvias and America’s 2WD specialist Chris Duplessis in his Ford Fiesta R2. The battle takes place on Duplessis’ home turf where he was born and raised in Mason Township, Maine. The Summit Rally Team will head back to their homes in Australia after NEFR. 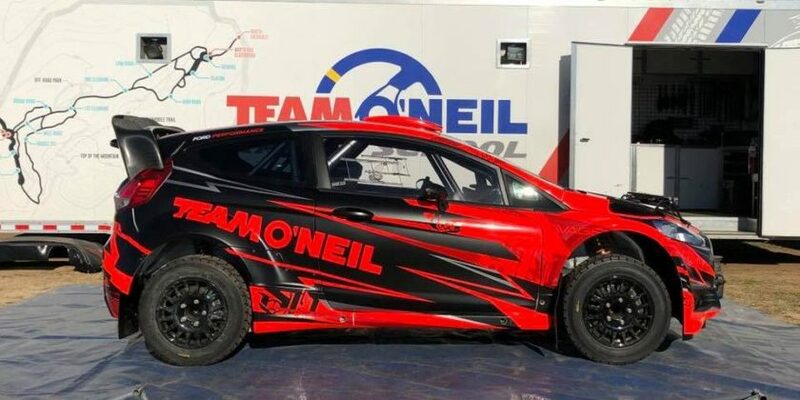 Summit’s top driver, Will Orders from Melbourne, Australia and co-driver Toni Feaver from Perth, Australia won the Oregon Trail Rally and Duplessis won the next round at the STPR Rally in Pennsylvania. Now the pair will decide who will get the best two out of three in their meetings. Waiting in the wings ready to strike is the SPARCO xD Rally Team with a highly experienced driver, Andrew Comrie-Picard (ACP) from Hermosa Beach, CA and co-driver Jeremy Wimpey from State College, PA. ACP is only 14 points behind Duplessis and could potentially take over the standings with a NEFR win. The New England Forest Rally is based at the Sunday River Resort during the skiing off-season and will feature a super special stage on both Friday and Saturday. On Friday fans won’t have to travel far as Sunday River will be the site for the Parc Expose, service area and stage action. Sunday River will also host a fan friendly Rally Village BBQ beginning at 6pm on Friday and at 5pm on Saturday. Please note that regular Mexico Recreation Super Special Stage and the Fish Pond Road stage will not be used for this year’s running of the New England Forest Rally. Fans are highly encouraged to watch the event from the Sunday River Resort or by taking a bus from either Sunday River on Friday or Errol, NH on Saturday. Fans who cannot attend in person can catch some live event streaming and video recaps, as well as regularly updated stage times and results, at Rally-America.com. A complete schedule of the event and spectator instructions is available for download at http://rally-america.com/VenueFiles/2012_NEFR_NEFR%202012%20Spec%20Guide_Web.pdf. The 2012 Rally America National Championship is proudly supported by TeleBlend, VP Racing Fuels – the Official Fuel of Rally America, ParkNBlend, Subaru of America, Ford Racing, Exedy Racing Clutches, Hawk Performance Brakes, DMack Tyres USA, GrimmSpeed and RECARO seats.